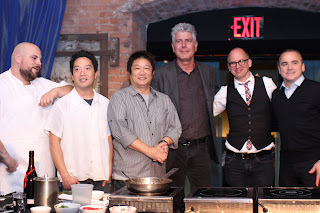 KF Seetoh (me) with partners Anthony Bourdain, James Oseland, Jean Georges Vongerichten at the New York press conference, along with Chef Anthony Ricco and Bryant Ng. This June, a group of distinguished top minds of the culinary industry will gather in Singapore for a discourse on what we can do with the world’s most popular and endearing food culture..comfort street food. Among others, food and travel TV superstar Anthony Bourdain will regale his advocacy and views of this culture that has fed him with so many ideas and inspirations on life and food. Three Michelin star chef Jean George Vongerichten will also be at hand to show you what he did with his street food experience when he was working in SE Asia many years ago. The intent is to start a conversation on the three factors that need be addressed for a fragile but well loved street food culture - to preserve, professioanlise and identify new possibilities in the industry. The World Street Food Congress with this Dialogue conference component will happen from 31th May to 9th June. We will also be inviting up to 40 of some of the world’s best street food masters from across 10 countries including food trucks from USA, kaki lima stands from Indonesia, hawkers from India, Malaysia and Thailand. This is for the food festival aspect- The World Street Food Jamboree. Seemingly simple task (safe for the jet lag zipping from one country to another selecting them) you might say. But just what are the criteria, besides simply to choose “top hawkers”. We have to bear in mind these few, among others, factors. • Consistency in operation - they have to be able to deliver that same quality no matter where they are and be able to tweak methodology with “lesser” ingredients (eg. they can use chicken sourced from most places). Their knowledge of food handling, hygiene and safety is introduced in their daily routine. • Knowledge of their food heritage - they have an idea of how their food came about and what it means to their nation’s food culture at large. They understand variations. 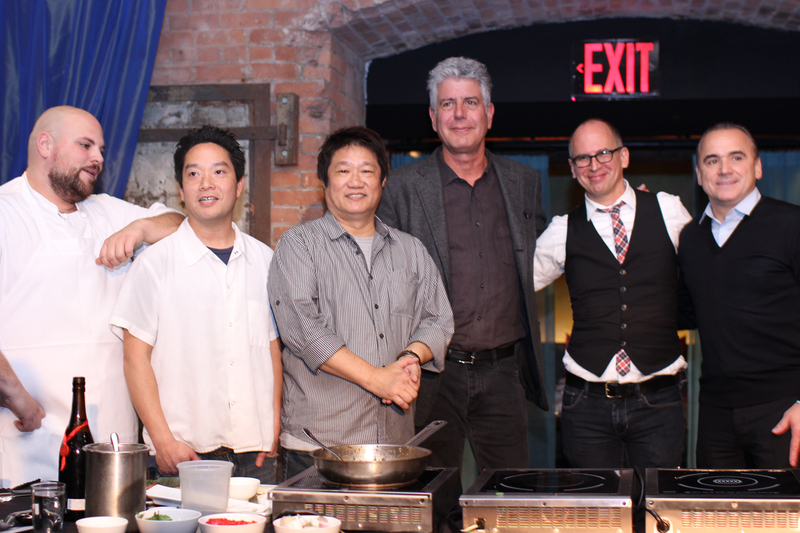 Even if they created something new, it is still withing that same spirit of the dish/cuisine. • Ability to scale - they are able to scale up to bigger operations when required and are very versatile in approach. • Willingness to share and expand - they should be confident of their recipe and know the value in sharing operation methods to aid expansion and facilitate partnership plans. • Quality – is expected. In the colonial days, it was the British who asked an Indian hawker to recreate the ubiquitous curry puff, leading to a Singapore-variation we eat today. So, with all these concerns borne in mind when choosing the 40 or so top hawkers worldwide--just who do we have in mind to represent team Singapore? Or more importantly, as quality is very subjective: What are the range of dishes being selected for the World Street Food Jamboree (the food festival component of the World Street Food Congress)? We bear in mind the unique as well as the mass appeal popular range. • Fried Hokkien Prawn Noodles - a truly unique born and bred Singapore dish created by the Hokkiens a few decades ago. 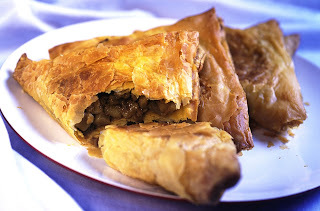 • The British Indian Curry Puff - the flat and bigger triangular flaky crusty curry puffs made with curried potatoes and mutton or chicken that is truly a local invention , created by chance. It was once a “sarabat” stall favourite with teh tarek. • Mee Pok Tah - or fish ball noodle. While it is common in China, this version comes with sambal, that reeks of our SE Asian heritage and sometimes splashed with black vinegar. It is not even easily found in our northern neigbours. • Hainanese and Nonya Pork Satay with pineapple sauce -While satay has Indonesian roots, this version is truly unique. It was the Hainanese who captured this Nonya recipe and jazzed it up with a dollop of pineapple sauce with the peanut dip. Even the marinate for the skewers are different from the Indonesian version. We’ll be finalising our shortlist of top street food vendors around the world for the World Street Food Jamboree soon. Keep up to date at www.makansuta.com/wsfcongress. Read more about my travels around the world in search of these food vendors.